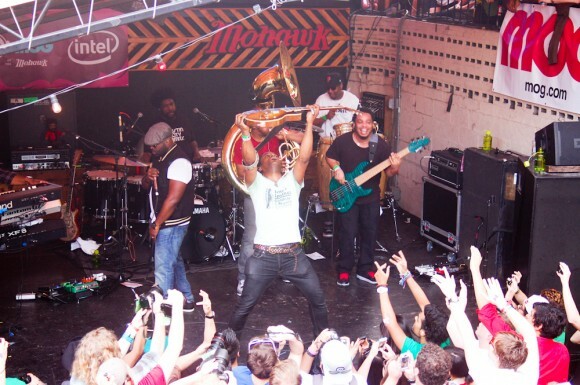 Each year the MOG party yields at least one performer that is an excitement-inducing inclusion. 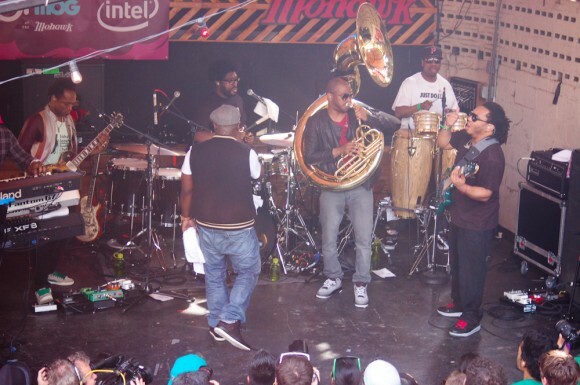 In 2010 it was The Black Keys and in 2011 it was Big Boi. 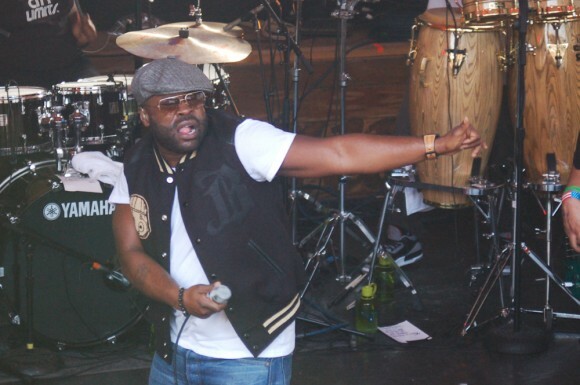 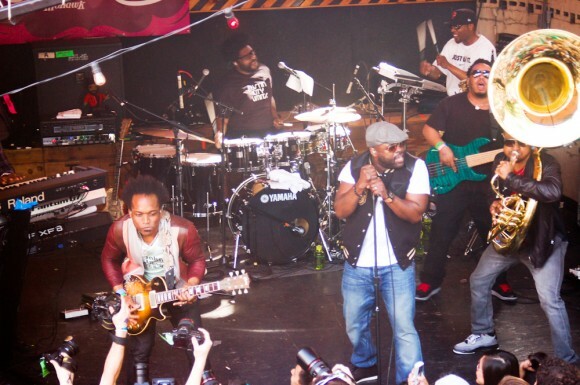 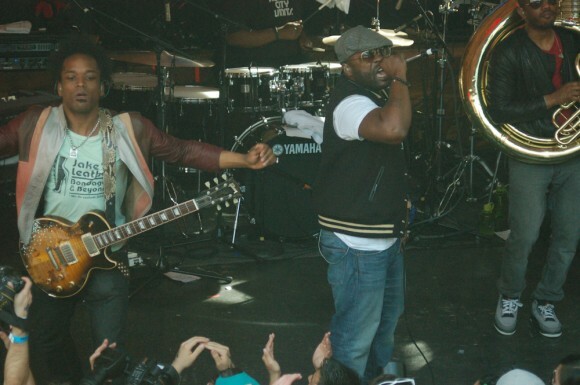 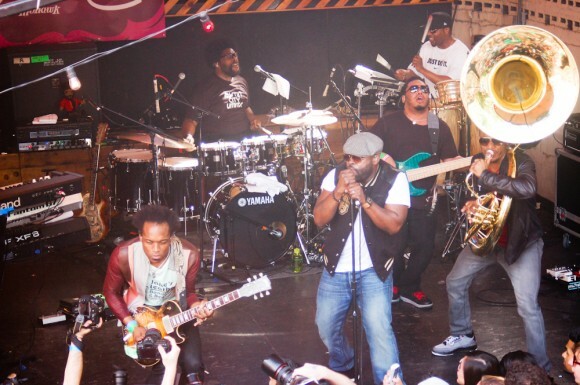 This year, MOG outdid themselves again and secured this week’s only performance by The Roots. 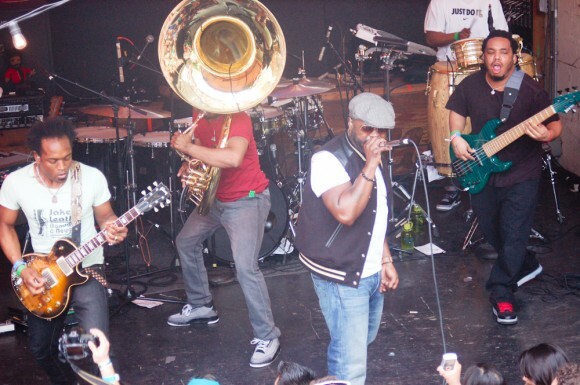 Playing about 75 minutes in total, the band led by drummer ?uestlove and emcee Black Thought showed in stunning applomb why their usage of their role on Late Night with Jimmy Fallon has yielded such an immense upswing in popularity for them. 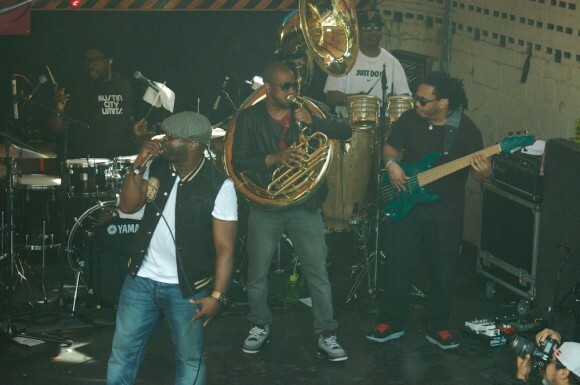 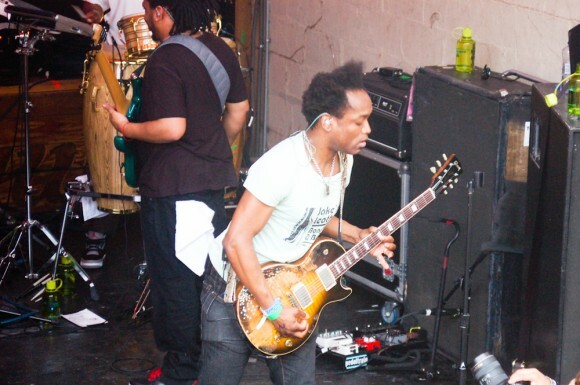 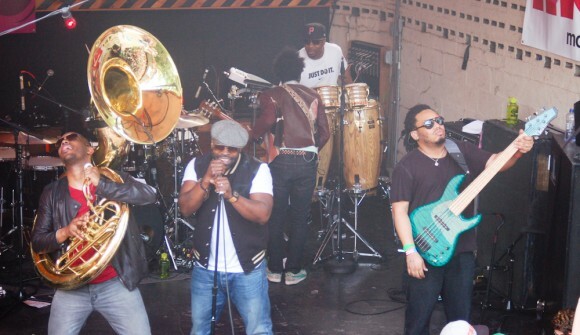 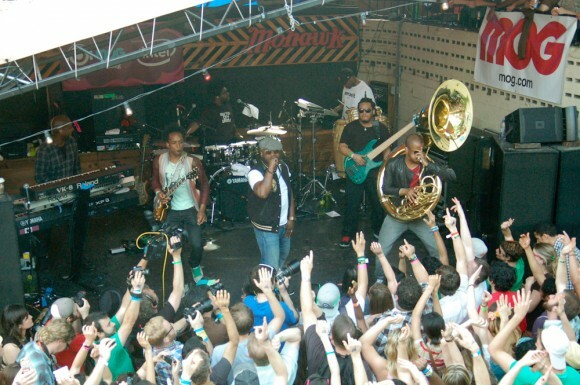 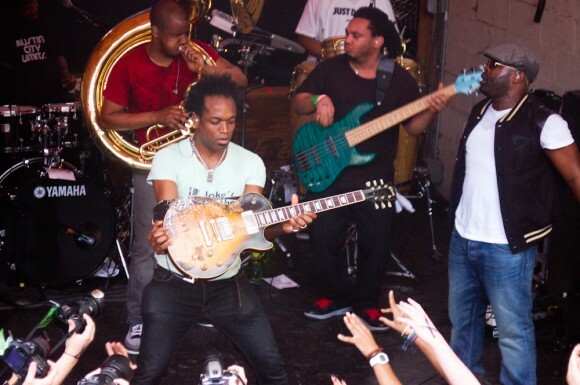 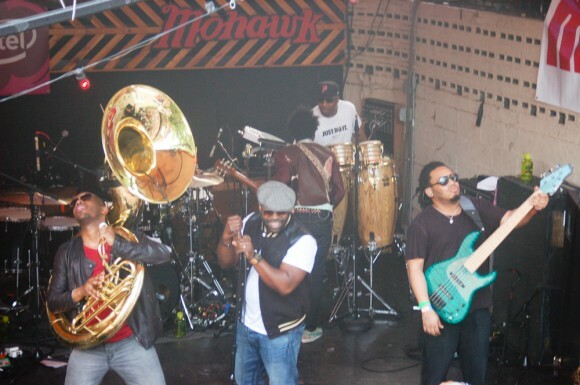 The band took hip-hop and rendered it with the organic quality of an expert-class live band. 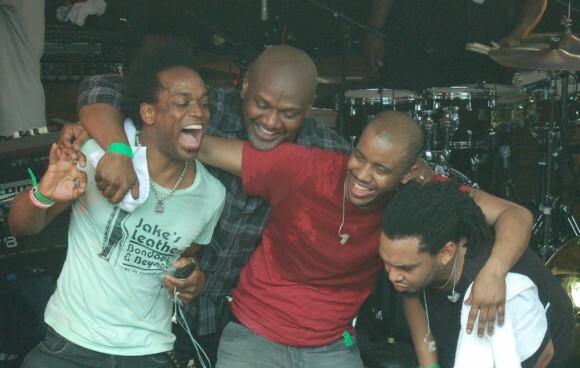 The group performed a few of their own songs (such as the title track to How I Got Over) before flexing their musical muscles in some highly stylized cover songs. 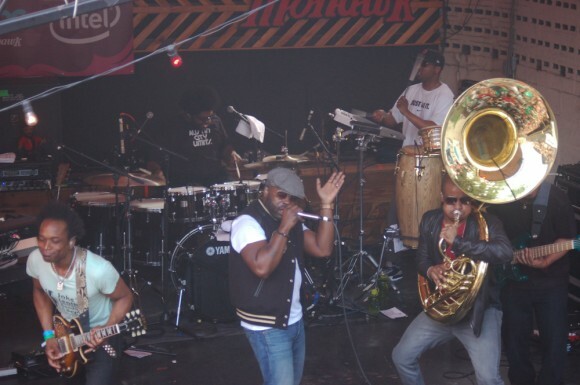 Backed by extra percussion, sousaphone, keyboards and skilled guitar playing care of Kirk Douglas, The Roots dropped in bits of Guns N’ Roses’ “Sweet Child of Mine” and Led Zeppelin’s “Immigrant Song.” Morphing between rocking hip-hop, soulful keyboard lullabies and even smoothed out R&B, the band effortlessly made use of their sonic palette. 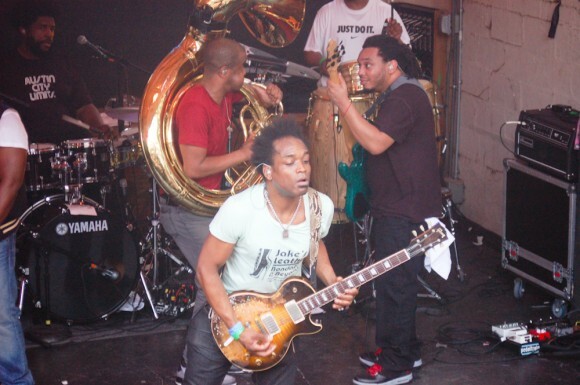 It’s rewarding to watch ?uestlove so calmly lead the band and adjust to time changes on the fly. 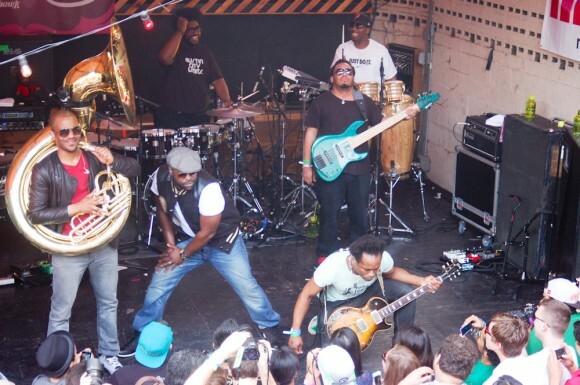 Most notably, the band did an inspiring rendition of “Jungle Boogie” and without meandering took it to a 20-minute workout. 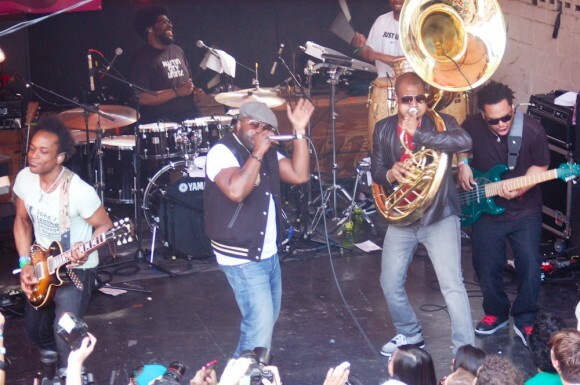 Giving props to DJ Jazzy Jeff, ?uestlove brought him on stage to join with him and Frankie Knuckles for an improv drum solo in the middle of that rendition. 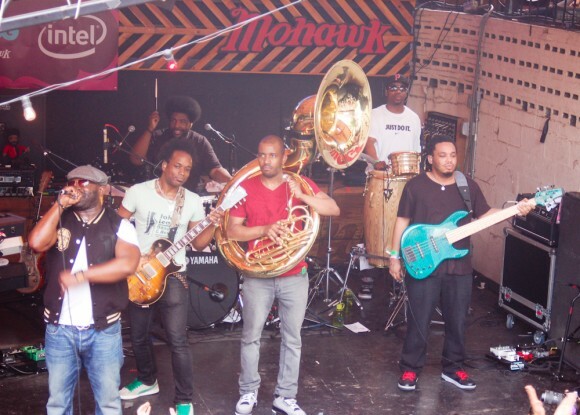 The band never stopped trying to engage the crowd, whether through impressive technical showmanship or crowd interaction, they never once lost the pulse of the room. 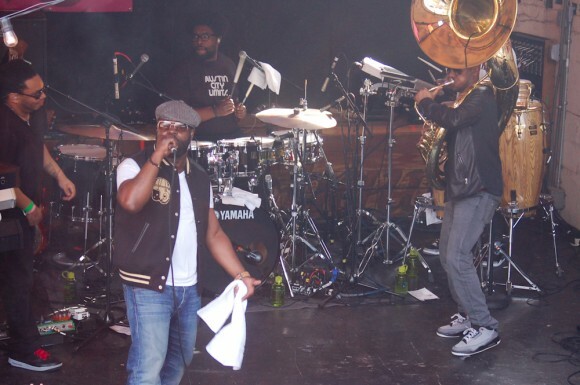 The Roots are without a doubt the best hip-hop band there is, but it’s clear from seeing their maturity and skill they might be one of the best live bands making the rounds today too.